If you’ve ever done some kind of SEO, you've likely decided which keywords you want your website to target. Keywords research is a basic skill all SEOs and content marketers need. At the same time, it’s an extensive subject and one of the most important tasks for your content strategy. Like everything in digital marketing, SEO changes fast. So it's important to follow Google's algorithm updates so we can improve our strategies accordingly. Moreover, the way SEOs research and choose keywords has changed quite a bit over the last decade. In the early days of SEO, keyword stuffing was common practice because Google’s algorithms used frequency as a measure of keyword importance. This made a lot of content on the internet poorly written and sounded unnatural to human readers. In 2011, the Panda update cracked down on spammy, low-quality content. High-quality websites were rewarded in the SERPs while low-quality sites saw a dramatic dip in traffic. Then, in 2013, Google released the Hummingbird update. Hummingbird helped Google understand keyword intent and identify related terms and synonyms. With a stronger understanding of topics through natural language processing, Google could now rank content that didn't explicitly include the words a user searched. Since then, the meaning of keywords, rather than the words themselves, has never been more important. The first step in conducting keyword research starts with you. Think about the content you’d like to optimize or would like to write about. Record each idea that comes to mind. Now that you have your topics, it’s time to expand upon them. Think about more specific subtopics that fit into each main topic. Write down as many as you can. When it comes to brainstorming, quality comes from quantity. The more ideas you have, the higher chance you'll find a topic with high search volume and low competition. Here’s my expanded list. 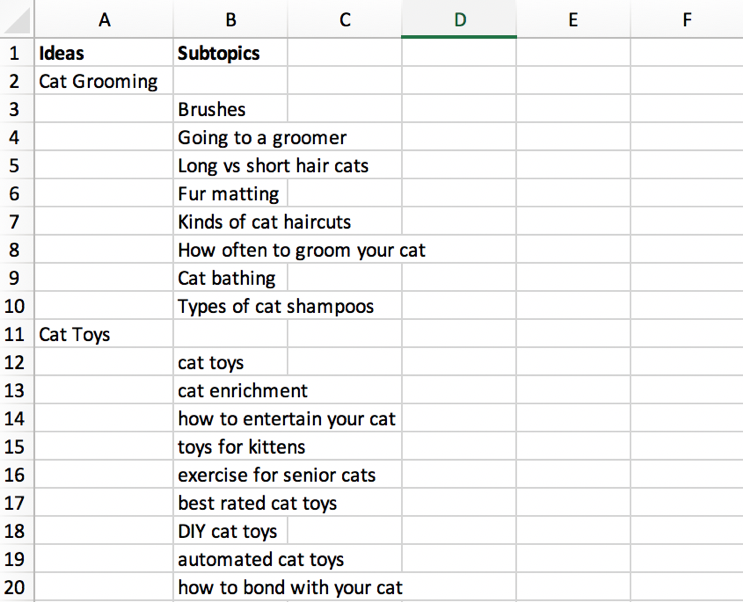 As you can see, “cat grooming” now has related subtopics like “brushes”, “going to a groomer”, and “long vs short hair cats.” Note that when you do this exercise, your list will likely be much longer than mine. Once you've exhausted your brain, you can start using tools. The first is one you'll be very familiar with: Google. We’re going to use Google’s search features to find other terms people search for. In this example, I’ll use the keyword “cat toys.” It’s a pretty generic term, so we should be able to find a lot of recommendations. When I input “cat toys” into my search bar, Google’s offers related searches at the bottom of the SERP. Many of these are keywords we haven't thought of yet, so we can add these to our list. We can also look to Google’s search bar for autocomplete suggestions. Type your keyword in the search bar and then append a letter to the end of the query to see what comes up. As you can see, there are a lot of different ideas here. Go through this process for every letter of the alphabet. By the end, you'll have a lot of terms that you can be sure pulls some traffic. After all, if no one was searching for “cat toys crochet,” Google would have no reason to suggest it. Here’s the tough part. 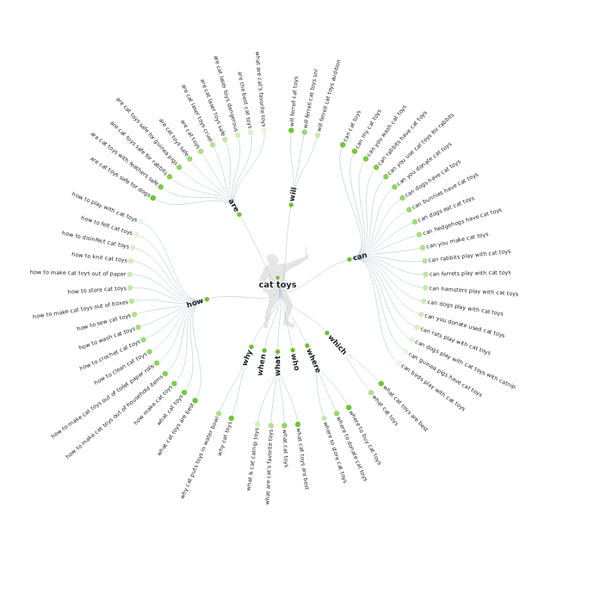 There are a lot of tools available to help you evaluate keywords, but most of them don’t include bulk search for free. So, if you aren't using a paid tool, your best bet is to use Google Keyword Planner. Here’s what happens when I put some of my keywords into Google Keyword Planner. The first image comes from an account currently running a Google Ads campaign. The second does not. There is a big difference in precision when it comes to search volume. The best keyword opportunities are high volume and low competition, but these gold nuggets are harder to find than you expect. With that in mind, choosing your keywords should take some extra consideration. Search competition is difficult to define and often misinterpreted. Keyword research tools, like SEMRush and Ubersuggest, try to measure SEO competitiveness, but they aren't the end-all, be-all. Google’s black box will only let us know so much, so these tools have to make estimations based on the authority of ranked pages. That’s why, if you use a paid tool for keyword research, it’s important to look at different sources and note the differences. A single tool’s measurement will never be as valuable as your own judgement. It’s also important to distinguish between PPC competition and SEO competition. The way brands rank for paid search is different than ranking organically, so be sure not to mix the two. A note: competition for Keyword Research Planner is for PPC. The best way you can assess keyword competition is to look at who ranks. Are the SERPs filled with high-quality, authoritative sites? Do the results accurately and fully answer the question users ask? How many backlinks do those sites have? Evaluating the competition is both an art and science. Use your own observation skills to assess whether you can measure up. Long tail keywords are 3-5 words long and tend to have less traffic than head terms, which are 1-2 word phrases. These specific long tail terms often have lower competition due to their specificity. If you don’t have many long tail keywords in your list already, adding phrases like “how to”, “types of”, or “what is” can help you create long tail phrases out of head terms. I also recommend using AnswerThePublic to find long tail keywords. Simply input your head terms and it will churn out question phrases, comparison terms, and other relevant search queries. If you get anything out of this article, let it be this: intent matters. Keyword intent addresses not what someone searched, but why. There are three types of intent: navigational, informational, and commercial. Navigational searches often mention brands directly. The searcher already knows what they want and where to get it–they are only using Google to find a specific page from that brand’s site. With these search terms, it’s important to check that your competition isn’t ranking for your name. Informational searches seek content that teaches them something. They haven’t made up their mind about buying or subscribing to anything at this point. Your question-phrase keywords, such as “how to entertain your cat,” “cat treat recipe,” or “long vs short hair cats” will be of this type. If you can’t tell the intent of a keyword by looking at it, search for the term yourself. You can determine the intent by looking at what types of content currently ranks for that term. You don’t need the fanciest SEO suite on the market to make smart keyword decisions. Often times, tools hinder our ability to think critically about the value of a keyword. So don’t fall for it! Keep brainstorming and stay critical. If you do, you’ll be more likely to find those gold nugget opportunities. 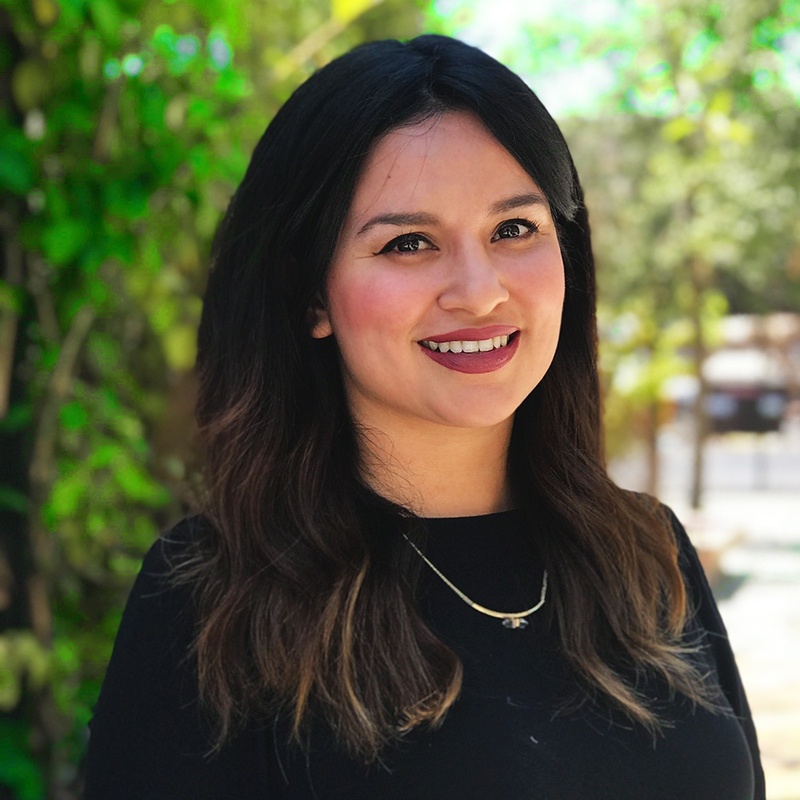 As our Associate Creative Director, Copy, Fernanda helps shape the voice and narrative of our clients' blogs, social media content, and ad campaigns. She’s always driven to find the perfect word, either in English or Spanish. She’s been working in radio, tv, media, and copywriting for 10 years. She graduated with a bachelor's degree in Communications from the Autonomous University of Baja California.